Miami Food Review™ functions as a blog and a human edited directory. What this means is that we have no sophisticated algorithms to find out what you may or may not like, and then try to group you into some computer generated category. We sincerely believe that food, dining out and places people choose to visit is very personal, subjective and can change not only from one person to the other, but a person's own choice of restaurant or dining spot may also change depending on mood, time of day, events in the personal life, season, weather, and other external factors which are not tangible nor can they be known by some software algorithm. Therefore, our primary focus is to include within our site all places where you can eat, drink, dance and have funds in Miami and surrounding areas. As we receive new information from visitors and contributing editors, we include this information within the site as posts within the blog section. We search the web, local magazines, newspapers, t.v. ads, other blogs, word of mouth and every other possible source to find information about a particular establishment. Many of you may say, "well I can't find one of my favorite restaurants", well, let us know. We grow our database of places manually. Our goal is to include as much information as possible about a particular venue, and then let you provide the reviews, comments and ratings. What is great about our site is that we carefully monitor and choose the tags or labels within each post. For those of you who are not familiar with this, a tag or label identifies a key content found within a particular post on a blog. By carefully monitoring these tags and labels we are able to provide each visitor to our site an easy way to locate their favorite eating place. 1. Name of the eating establishment. Country or cultural type: French, Italian, Cuban, Chinese, Japanese, American, Brazilian, etc. 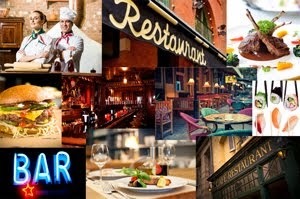 Establishment type: Restaurant, Lounge, Bar-Lounge, Bistro, Hole-in-the-wall, Fast Food, Cafe, etc. Neighborhoods, District or City: Miami (City of Miami), South Beach, Design District, Coral Gables, Coconut Grove, Key Biscayne, North Miami, South Miami, Miami Lakes, etc. Type of food: Vegan, Seafood, Kosher, Sushi, Fresh Seafood, Bar-B-Que, Sandwich Shop, etc. I sincerely hope you enjoy our site and help us make it better, remember, it is here for you.